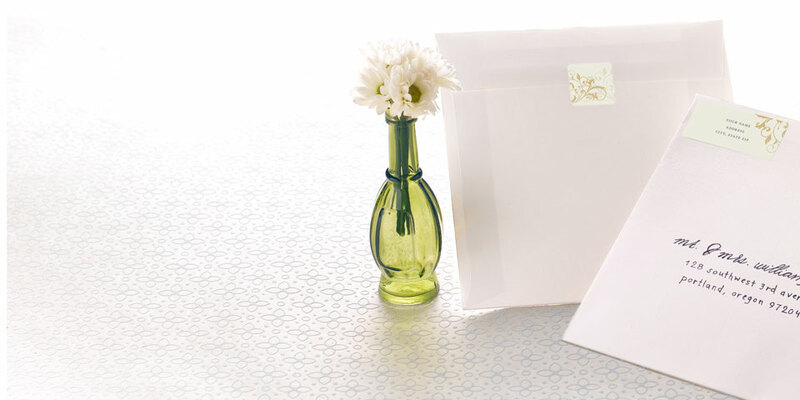 Make your life easier and your envelopes more fun with self–adhesive address labels! Secure your envelopes with one last special touch — a seal personalized with your photos, fonts, and colors. 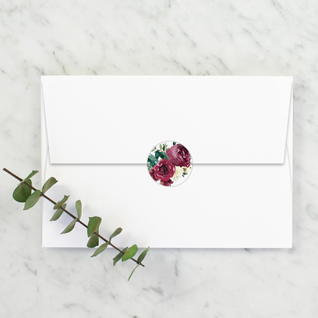 Complete your stationery with a coordinating seal to secure your Pocket Invites or Vellum Bands. You've chosen the perfect invitations to set the stage for your wedding day, now add a sweet and final touch to complete the look. Our coordinating Labels & Seals tastefully preview the design inside and add another personalized element to your stationery. 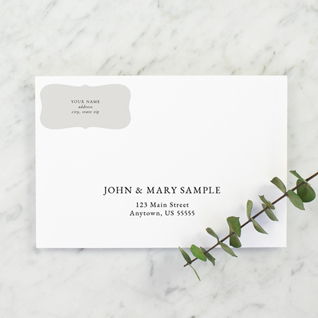 Address Labels make quick but stylish work of envelope addressing while Seals enhance and secure your envelopes and Wedding Invitations. Our Label & Seal designs all have coordinating Wedding Stationery. 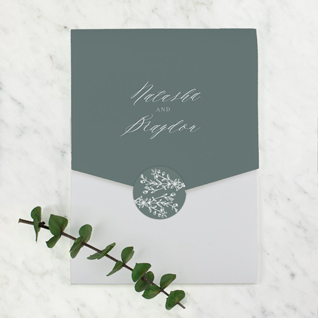 From Save the Dates to Invites and Thank You Cards, complement your stationery design with matching Labels & Seals. We offer a variety of shapes and sizes for your Labels & Seals from large and small, to round or bracket. Shop and find the ones that fit your style!